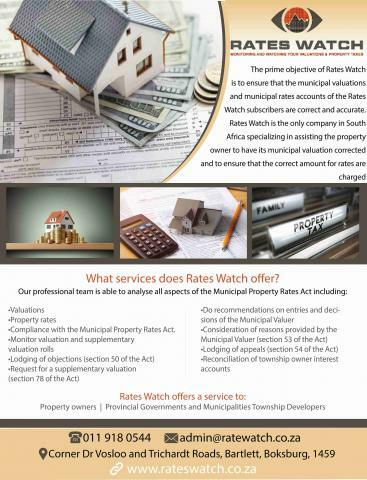 • Municipal property valuations and rates accounts. • Management of township interest accounts. • Lodging of objections / Valuation reviews. • Monitoring of valuation and supplementary valuation rolls. • Valuation and property rates audits. • Valuation and rates consultations.